Something came to me as I walked past the church of epiphany in Washington D.C. 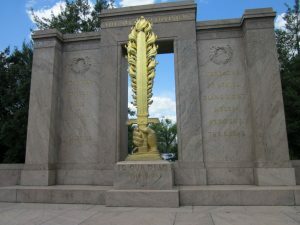 I had just viewed numerous monuments designed to memorialize our legions of war wounded, war dead and those that served. 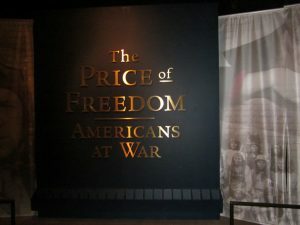 At the American History museum our war making past and present is codified as “The Price of Freedom”. 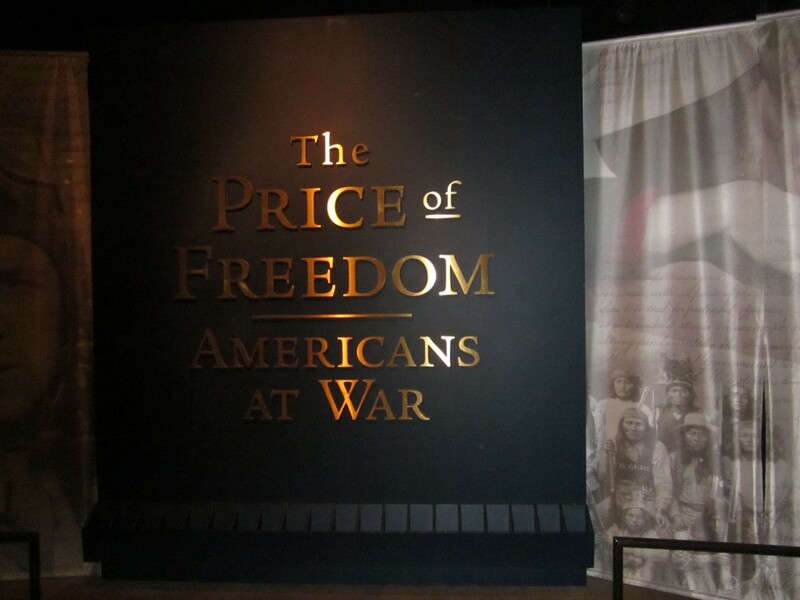 A quarter of one whole floor is dedicated to making the case that all American wars, past and present, have been a necessity to preserve this great nation of ours. There are a lot of monuments in D.C. to war. There are war memorials specific to the military branches. There are statues of tired soldiers, flaming swords and waves and dolphins and fountains and granite obelisks and walls with tens of thousands of names of U.S. military killed. There are salutes to those that served, and those that were injured and those that died, and those that loaded the bombs or dropped them, and those that traipsed through the snow or jungle being killed and maimed while killing people that were defending their homeland against us. We were right and they were wrong, the price of freedom. These memorials are flooded with men and women, older mostly, proudly wearing their veteran baseball caps. Never mind the millions of people whose lives we disrupted. What I saw again and again at each memorial was testimony to failed leadership. Monumental failures of leadership and the resulting millions dead or wounded made me think that if we razed all the memorials and started again with a clean slate we might have a chance of breaking this propensity for war. What I saw was war memorials that have morphed from places that showed respect for the dead, to places were we can be proud of the destruction we heap on others, the price of freedom. 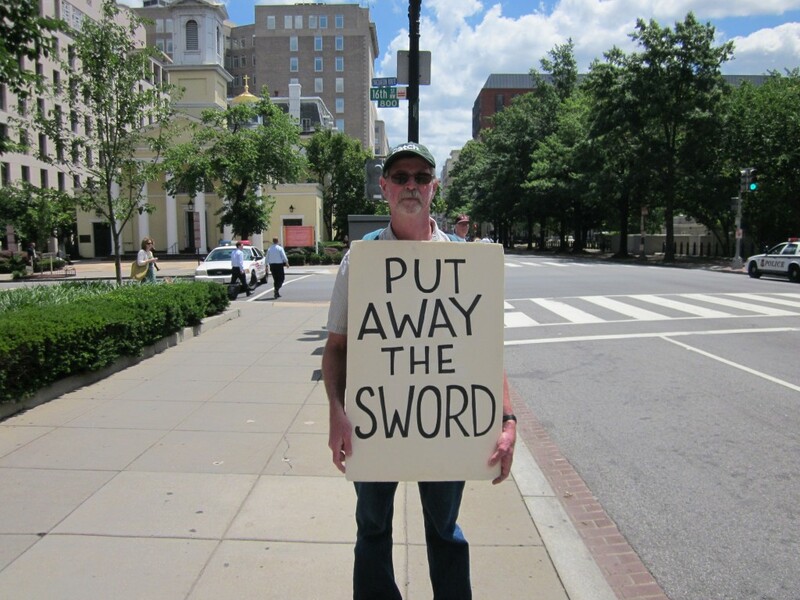 No mention of the people that have felt the blade of our terrible swift American sword. My epiphany is that it’s time to junk all the war memorials across this great land. There can be no argument that if our leadership had been better we could have avoided most if not all the dead and wounded, the immeasurable expense, and suffering we left behind and the violence brought home to our families. Why would we want so many memorials to manifest failure? All we really need is the reflecting pool, where we can consider the consequences of our actions and a path forward where good leadership steers us clear of war, rather than toward it. At the George Washington Masonic temple our first President is quoted as saying “Let Prejudices and local interests yield to reason. Let us look to our national character and to things beyond the present period”. Another thought came to me at the church of Epiphany. Where have all the great men gone? I understand and agree with the motivation of the author but strongly disagree with the inclination “to junk all the war memorials across this great land”. One may see them as war memorials while others as veteran memorials. I can easily anticipate Fox news reporting: “some members of veterans for peace are calling to vandalize veteran memorials…”. This would be catastrophic for our organization. I wish the memorials did not deceive visitors into believing that the fallen soldiers paid “the price of freedom”. However, I think that it hardly would have made a difference on the direction of the US foreign policy. The twist here is that many soldiers went to wars convinced that they were fighting for our freedom and many surviving veterans still do.